Don’t fall into the mindset of thinking, “it’s just a patio door”. Years of architectural design development would take exception to such a comment. 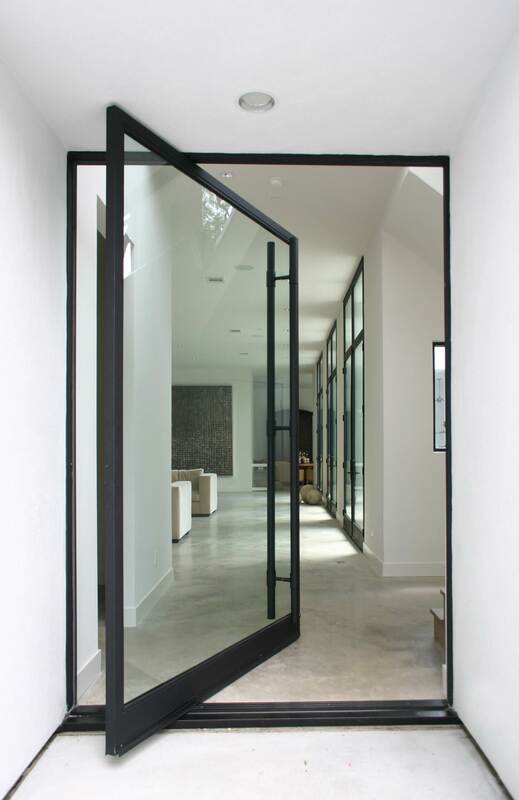 Though they are most commonly found at the rear, glass doors can be found anywhere in the house. 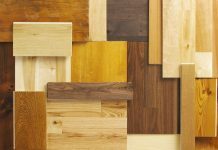 They can especially be used in small spaces such as kitchens to make them look bigger. You can successfully add an all-new concept into your trove of home ideas, broadening its scope of elegance. Take a look at all the different possibilities! Large glass patio doors were once cost-prohibitive to the average family. But eventually, efficient manufacturing made them affordable for everyone. telescopic, folding, sliding and hinged glass doors are available to immediately upgrade your patio, and do so in style. What do you suppose would best enhance your home’s exterior design? 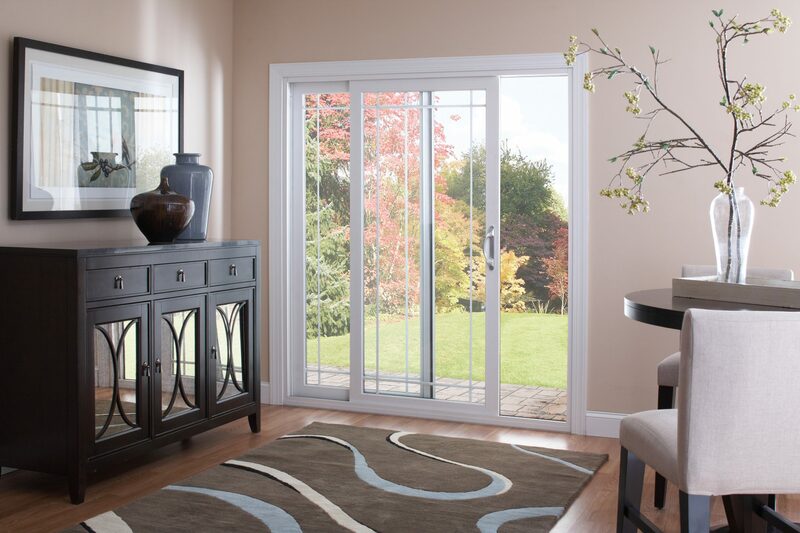 Hinged French doors feature the timeless architectural element of an in-swinging method. The doors takes up floor space in that it is often meant to be left open. Therefore you will need to consider the best placement of furniture around them. 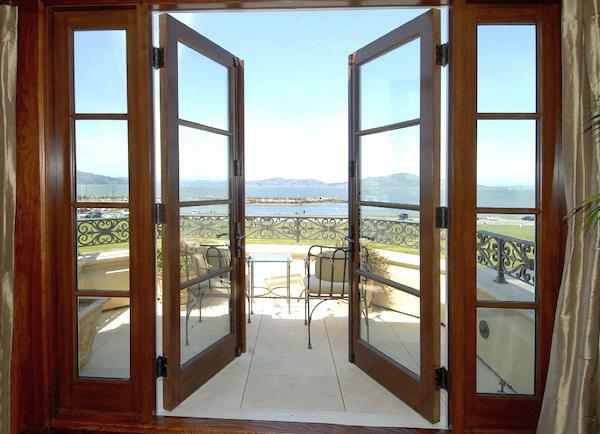 French doors are of a limited width, no more than six feet each. The panels have to be appropriately sized otherwise function would suffer as it would from hardware that is not of the correct corresponding dimensions. You may find French doors in the out-swinging design that obviously has zero impact on the interior. However there are other factors to consider. For instance, the usual screening will be on the inside. That means the doors are best used where screens are not needed, such as in areas with no insects or when the door leads to a screened porch. Plus these out swingers will require additional hardware to ensure that these doors do not slam shut in the wake of strong winds. Such gusts can be responsible for serious damage to the door frame and door if it hasn’t been properly fitted to withstand such force. An important consideration for both in and out swinging hinged doors is the factor of threshold. It’s a part of the floor that projects over an inch above the floor and serves as a weather tight seal. BUT – it also prohibits a perfectly smooth floor transition from the inside to outside. It’s a bump, essentially, and you’d have to hire a professional to remove it without consequence. When you look at the function of materials, glass type, finishing, hardware, muntin type, etc… you get an idea of the factors that determine cost. Minimum, you’re looking at about a grand. On the higher end, such as in the case of quality black stainless steel framed glass doors that feature a prolific locking system and simulated dividing lights, your cost can run into the several thousands. 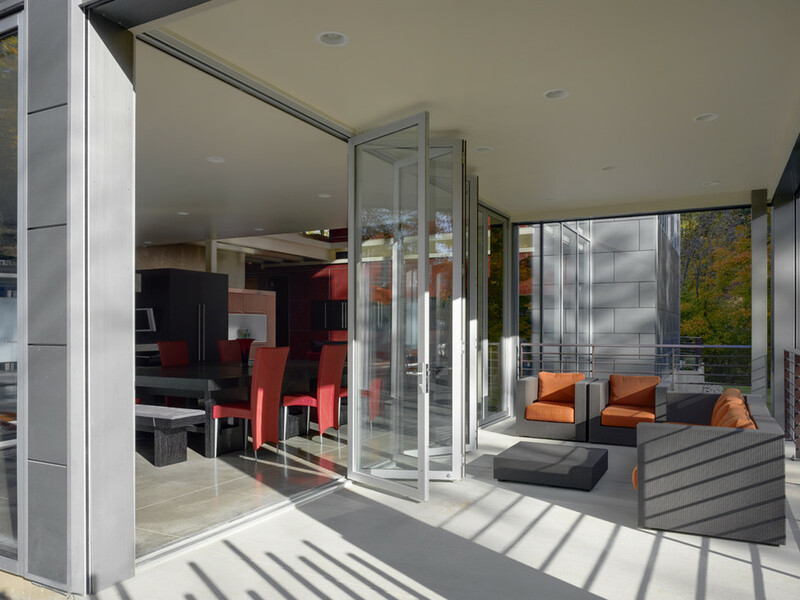 Not surprisingly, the sliding glass door remains the most popular and common entry type found among patios. They are comprised of dual glass panels that slide past each other. You’ll see this in all styles – contemporary, traditional, etc… although it is for the contemporary look that it is best suited. People are naive to the fact that sliding glass doors don’t really fit the traditional motif, but it is a forgivable offense. 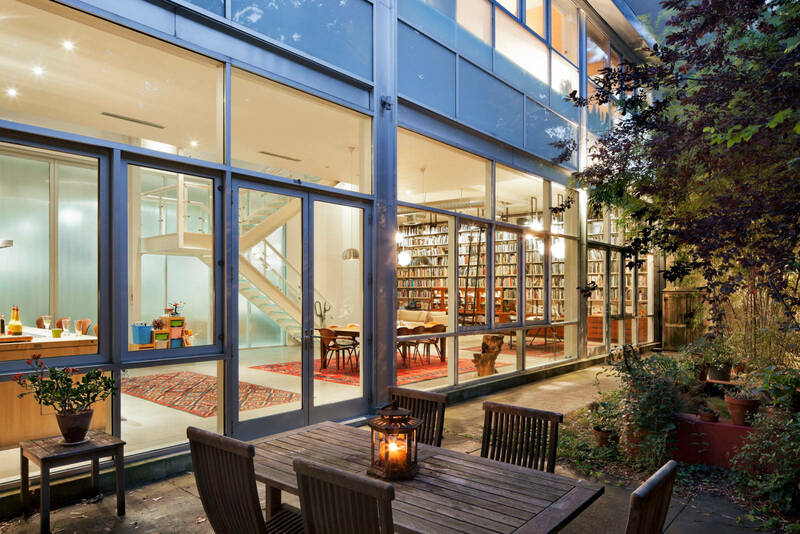 The fact is, sliding glass doors can be of exceptional visual width. The standard is generally five to six feet wide. But fret not, you can get them as wide as ten feet. The frame size is an important factor, because the dimensions will vary depending on the material. You’ll find that vinyl frames are thicker than metal ones (like aluminum) that can be pretty thin. Okay, so let’s talk cost. 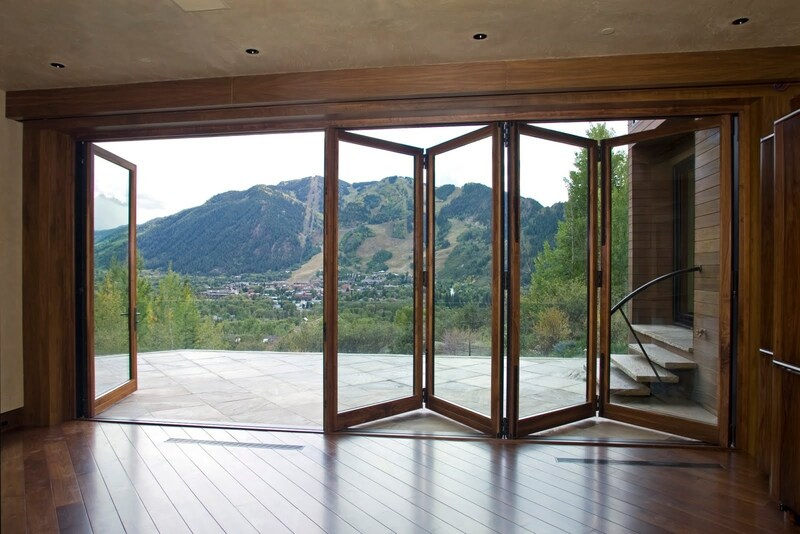 A sliding glass door is typically much less than the French doors as it is easier to construct and engineer (the mechanisms on the French doors can be complex). Plus, with fewer moving parts, sliding glass doors are more affordable at around $500. That’s not to say that you won’t discover variations of the two. For instance, there’s what is sometimes called the French Slider, incorporating the French door look with the edge of a sliding glass door. But unlike its two door counterpart, the French version has four glass panels. The two outer ones are set stationary, while the inner ones close vertically, and are tight against each other when locked. Obviously with both outer panels slid open you will have a wider exposed area than a regular sliding glass door offers. An important design element of both is their track system. It’s something you’ll need to work with when specifying a profile system. On a single track, a lift/slide door has panels that use it until they reach the sides where multiple tracks begin. The panels fold up neatly and are concealed in the neighboring opaque walls. It’s an awesome design, offering the largest open area possible. This model is unique and depending on the size can run into the tens of thousands, as per the materials and configuration you choose. You can install what essentially will become a giant wall of glass. If the sliding feature is a bit generic for you, how about folding glass doors? I find them to be a little clumsy to handle, but there is no disputing their beauty. Often two to four panels on each side that are hinged together, they fold ‘in’, accordion style. These too can be on the pricey side, especially ones that are designed better and are less “clumsy”. Typically priced at about $1500 per square foot, a twenty foot width could run between $20,000 and $30,000. Not quite like a hinged door, although it can swing in or out, a pivot door technically swings in AND out. It is supported on pivots and pivot boxes so it is not hinged anywhere. The weight of the door rests in from the edge. It’s a large single panel, that when opened pivots to one side so that half the door sticks outside while the other half is safely within. Because of the designs configuration, any kind of screening is impossible, making the home more vulnerable to flying insects. Of course, these too are of substantially higher cost than sliding or French doors, and are more of a novelty than they are practical. It’s interesting that the sliding glass door is the most common entry for patios. 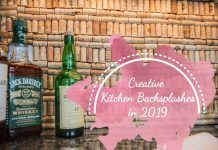 My father has been thinking of adding a patio to his home, so he could benefit from reading this article.